WHERE ARE YOU LOCATED? CAN I STOP BY TO PICK UP AN ORDER? CAN I JUST DROP BY TO CHECK THE PLACE OUT? We are located in St Cloud Florida, USA. Since we are a mail-order race parts manufacturer/company, we work out of our home office and personal shop, and there's not much to look at except boxes! Since 99.9% of our business is not local to us, we are not set-up as a showroom like a typical auto parts store would be. And we just don't have the staff to handle walk-in traffic. We always strive to ship your items for free however, and local orders will most often be delivered next day, making a pick-up not worth the effort. 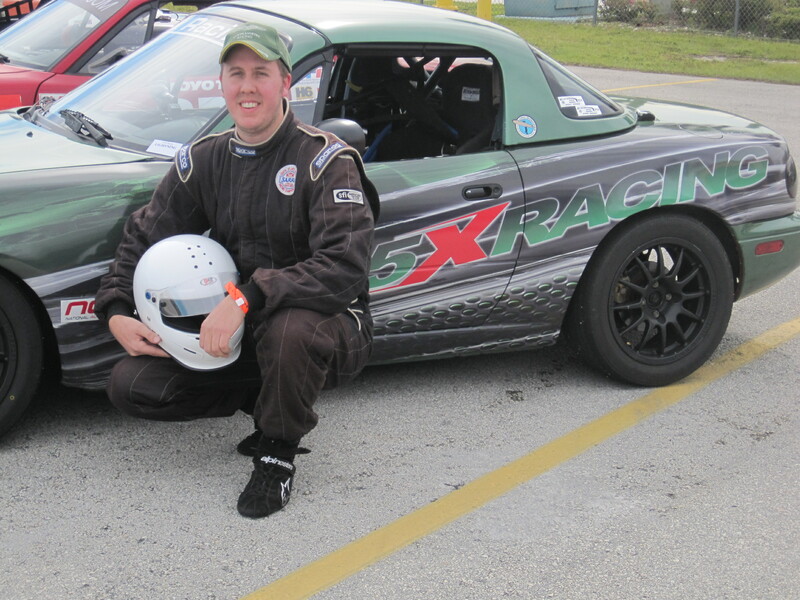 5X Racing has been in operation since 2007 and we are committed to supporting Mazda Miata owners quest to transcend the street and get on the racetrack. Our goal and commitment is simple: provide a combination of the very best customer service, prices, advice, and products in the marketplace to help our customers get out on track and enjoy their cars in the manner they were meant to be driven! Starting in late-2005 while building our first Spec Miata racecar, we developed several custom racing parts during the build and saw a chance to share these products with other racers who would appreciate them in their own cars. In 2007 the virtual doors of 5X Racing opened to the public via a simple webstore anchored by our small number of custom parts, as well as the highest quality and most sought after parts for Spec Miata racecars. With the initial success of our custom parts and because of our strong engineering background, we continued to create and build innovative products based off the Miata platform, which lead to expanding from just Spec Miata racecars and building 5X Racing into a respected name in the Miata parts industry. With our philosophy of engineering and building track-tested/race proven parts – and with the help of our loyal customers – 5X Racing has now evolved into a manufacturer and trusted supplier of purposeful racing and track parts for the Mazda Miata. We are the epitome of a family run business, and our family takes racing very seriously as it is our core DNA, primary focus, and motivation for continued success/commitment to our customers. We race because it’s in our blood - it’s our passion - therefore we love what we do and always strive to create something better. We believe that our customers are as passionate about their cars as we are about ours, so we only create and offer you products that we trust and would want to use on our own cars, and treat you how we would want to be treated when you need advice or are making a purchase. We are not the typical catch-all parts store that offers everything but are experts in nothing and can’t help you with your specific needs. We don’t specialize in areas we do have expertise in, so we only focus on the cars and parts that we have experience with. Our expertise is Miatas, and if there’s one thing we can help you with, it’s Miatas! 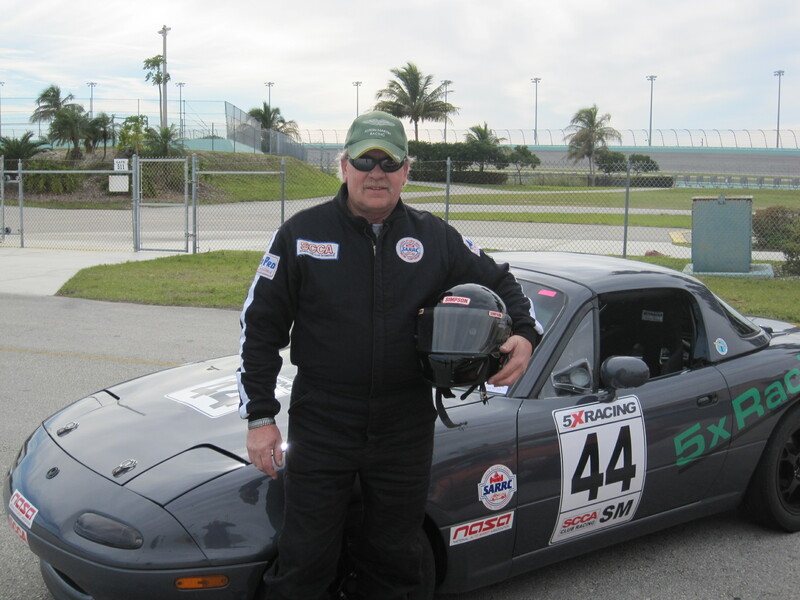 John is the founder and creator of 5X Racing. John started 5X Racing in the fall of 2007, developed the original website, and handled 100% of the business in his spare time until 2011 when Brittany took over business operations full-time. Now John works behind the scenes building the foundation for our continued growth, which include: developing new parts, securing/maintaining manufacturer relationships, maintaining the website and adding new products, maintaining our social media outlets, answering technical related inquires, and of course testing all of our current and prototype race parts on both his 1999 Mazda Miata shop/project car and Spec Miata race car! Brittany was married into racing and more specifically - 5X Racing - when she said "I do" with John in March of 2008. Little did she know that three years later she would be running an entire business and spending several weekends a year at racetracks listening to buzzy 4-cylinder race engines! 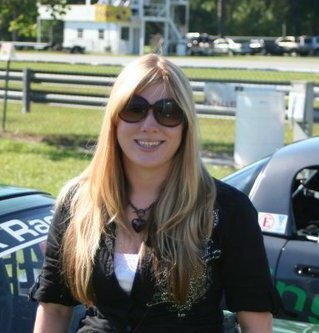 Without Brittany, 5X Racing would fail to exist today, as her involvement is essential to our operation being the one who processes the orders, organizes the shipments, emails order updates, maintains inventory and ordering, handles our accounting, and most importantly keeps everything aligned and moving straight! Rick is the creative mind behind almost all 5X Racing products we have in our catalog today. Rick is our engineer and the man who makes our concepts into those fancy metal parts you can install on your car and use on the racetrack. Without Rick, we would just be another person in your run group at the racetrack and not "5X Racing" (he even came up with our name!) as his ability to imagine, fabricate, manufacture, and have the knowledge to do all of the above made us into a business we are and not just participants. Rick has been involved in racing since he was a teenager, when he began his career on Long Island NY building and racing outboard boats. Rick's creativeness led him to become one of the premier outboard tunnel boat manufacturers in the bustling early 90's boat racing industry where he built the sports best handling tunnel boats for the top-level IOGP (International Outboard Grand Prix) circuit. He also competed in the circuit, winning several races over the course of his professional career and becoming a legendary name in the now nearly extinct sport. Rick is still one of the worlds best watercraft engineers, and helps create advanced concepts for the worlds leading personal watercraft companies, however his passion is still racing and he chooses to spend his spare time helping us build 5X Racing and racing in Spec Miata with John at all of the events we attend. Why should you shop at 5X Racing? You should shop at 5X Racing because when you shop with us, you are purchasing products from an actual race team that has the knowledge and experience to provide the correct parts for your application, can answer your questions, and can help you fix your car at the track. We are not just a webstore with no involvement in the racing world, we actually race Spec Miata's! We have a fleet of Spec Miata's that carry the 5X Racing banner, every generation is supported by us and we have experience in working with every type of Spec Miata out there. BEWARE OF THE BIG BOX STORES! A lot of stores out there might have a better price, or better deals than us, but when you purchase from them you take the risk of buying from someone that has no knowledge about the parts they are selling because the person on the other end is just an office employee, not a racecar driver. Do you really think Summit or Jegs can tell you what alignment settings are best for your Spec Miata? NOT! We are at the track racing and developing parts for Miata's, we know what we are doing, and know how to answer your questions adequately. ALSO, when you spend money with 5X Racing you are giving back to the grassroots racing community you race in. We proudly support Spec Miata drivers around the country via our "Team Driver Program", and ultimately we support the clubs we love to race in by racing with them! So feel good spending your hard earned dollars here, it won't be in vain! 5X Racing's Online Race Shop was established in September 2007. We are a legitimate licensed business based in St. Cloud Florida, a registered business with the State of Florida, as well as the US Government. In early 2010 5X Racing was taken to the next level and established as a Limited Liability Corporation, we are not just a hollow webstore but rather a serious business that also performs: racing research and development, parts prototyping, race testing on parts, and full racecar builds. We have a non-commercial, private race shop where we perform our R&D, build and maintain our Spec Miata racecars, and prototype new race parts.